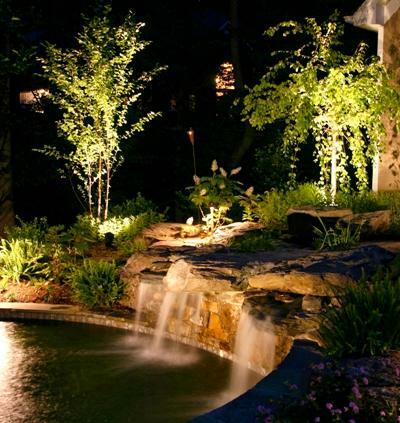 Beautiful water features need a couple of key ingredients besides water. They need a structure for the water to cascade down and they need texture which allows the water to make a beautiful sound as it trickles down. 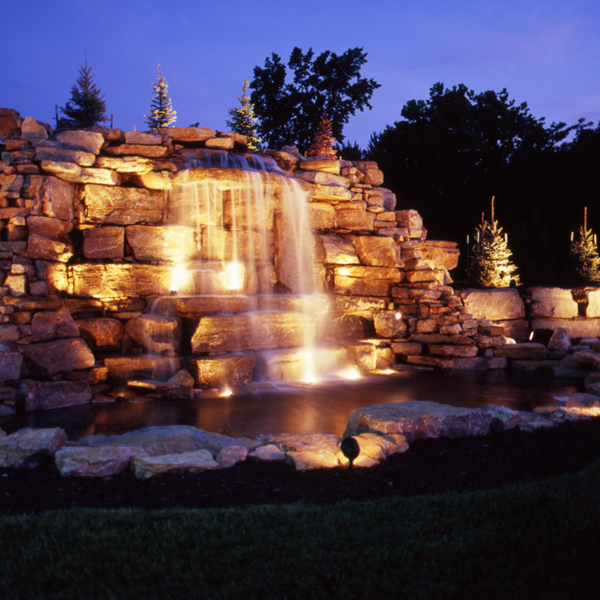 Therefore, natural rock and stone are wonderful components for natural water features. 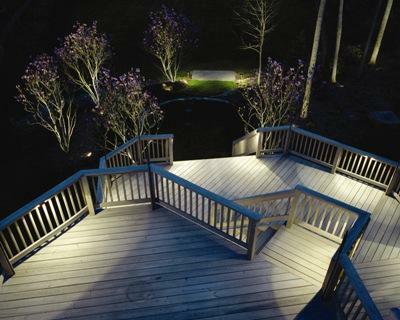 In terms of lighting, daylight is an important component of a water feature but darkness is also important. 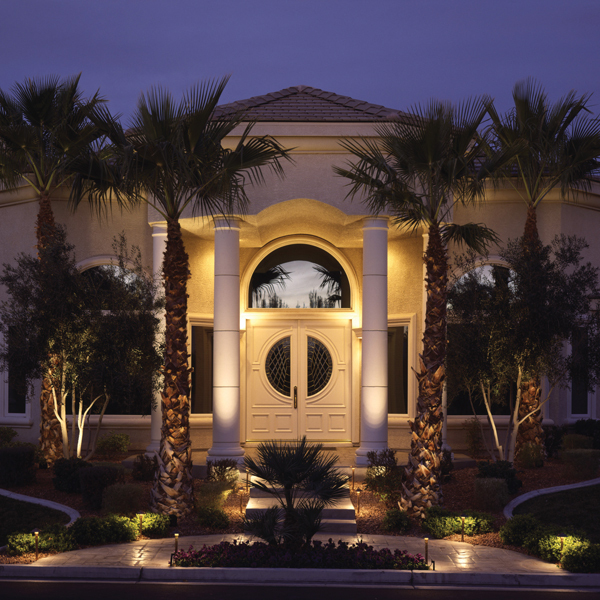 Your water feature will look completely different and have a completely different effect during the day than it does at night. 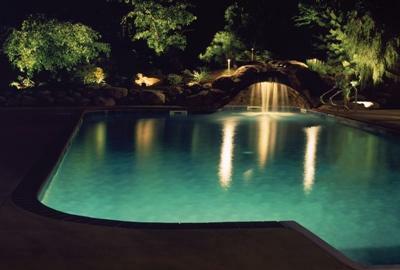 During the day, the water glistens and sparkles in the natural light. During the evening, we appreciate the way the water color seems so much darker and the way the water glistens in shades of blue and black and plum. 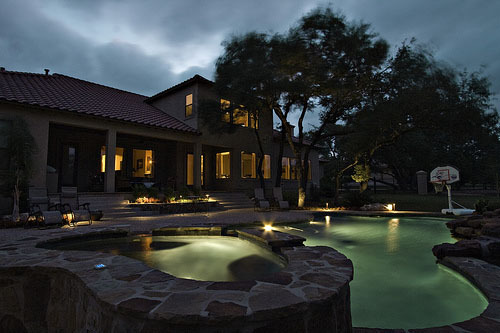 In order to see and appreciate our outdoor water features, we have to have some outdoor lighting. 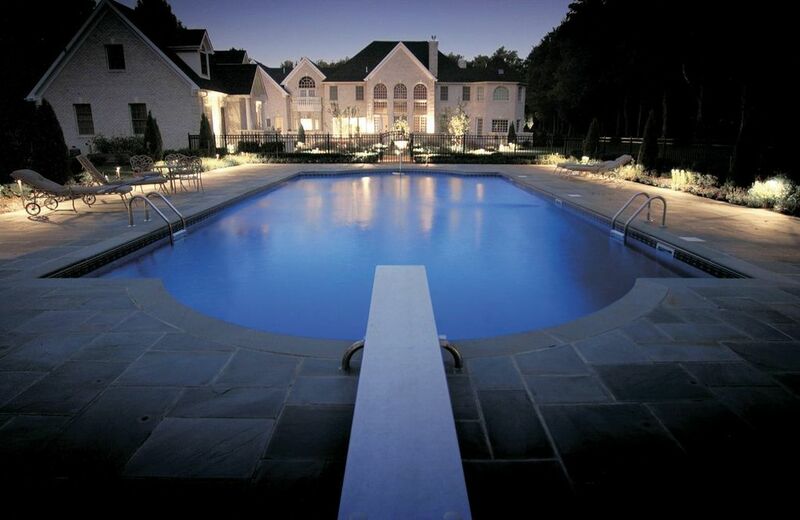 Lighting water features requires outdoor lighting expertise. 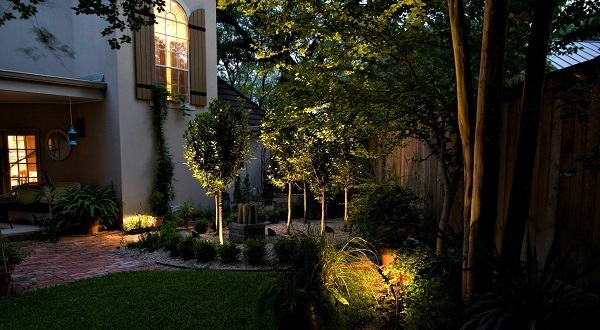 The goal of good outdoor lighting is to create a soft, warm, and romantic effect. 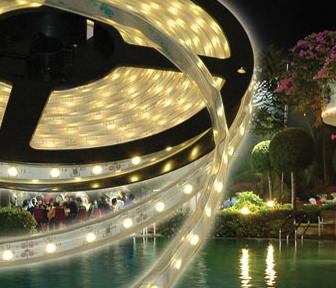 Good lighting experts will not “flood” an area with light. They will not throw a very bold “spot” of light on a particular area for emphasis. 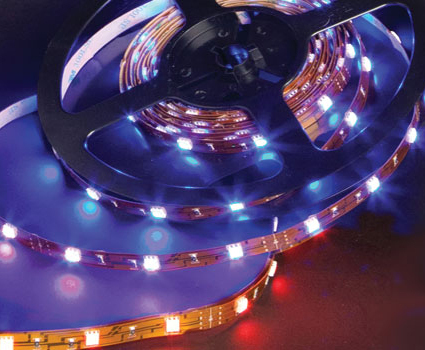 The goal is to gently bathe the desired illumination area. 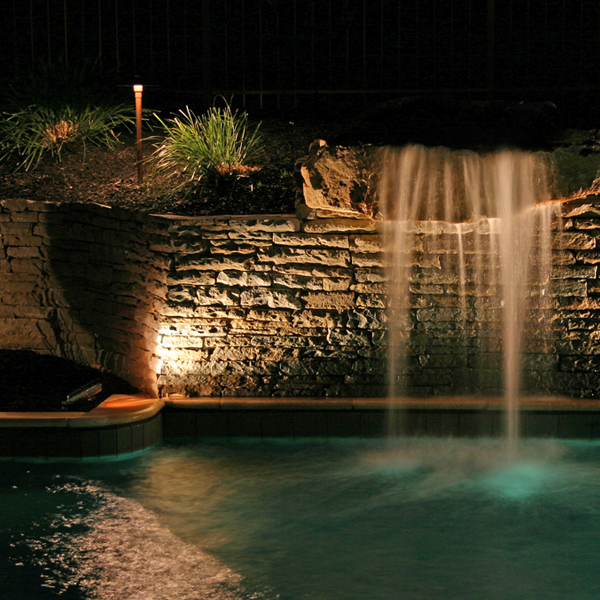 Water lighting can be done for pools, waterfalls, and other water features. 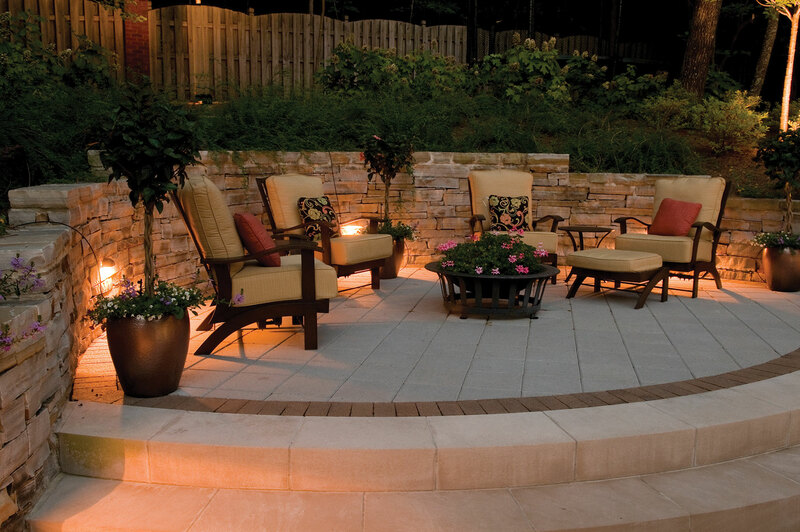 Give us a ring to come out and discuss your outdoor lighting goals with you. We do not charge for our on-site consultation. 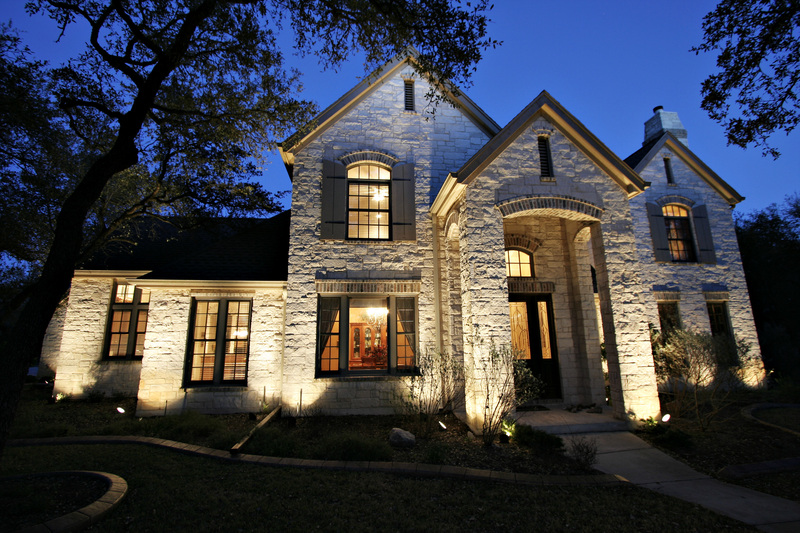 We come out at a convenient time for you and actually set up the lighting you would have. You essentially get to try it before you buy it. 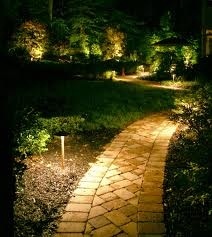 Give us a ring for a free outdoor lighting demonstration at your home. Give us a ring for a free demo at your home.